This is clearly a split decision in which the Justice’s bargained with each to come up with a consensus decision. It does seem unfair to criminally prosecute people for exercising their constitutional right to not incriminate themselves and to not have to submit to a search. Imposing criminal penalties upon people who choose to remain silent seems unfair. James Dimeas is a nationally-recognized, award-winning, DUI lawyer. Recently, James Dimeas was recognized as a “Top 100 Criminal Defense Lawyer in the State of Illinois for the Year 2018” by the American Society of Legal Advocates. James Dimeas has been named a “Best DUI Attorney.” Expertise has named James Dimeas a “Best Criminal Defense Lawyer in Chicago.” The National Trial Lawyers have recognized James Dimeas as a “Top 100 Criminal Defense Trial Lawyer.” The American Institute of Criminal Law Advocates have named James Dimeas a “10 Best Attorney for Client Satisfaction.” AVVO rates James Dimeas as “Superb”, the highest rating possible for any DUI lawyer in the United States. If you are facing a DUI in Chicago, Cook County, DuPage County, Kane County, or Lake County, you can contact James Dimeas anytime free and confidential consultation. You can always talk to James Dimeas directly by calling him at 847-807-7405. Birchfield v. North Dakota, Supreme Court Docket No: 14-1468, 576 US___(2016). 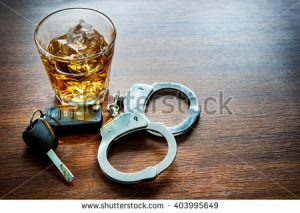 Can You Be Charged With a DUI If You Pull Over “To Sleep it Off,” by James G. Dimeas, Chicago Criminal Lawyer Blog, November 9, 2017. Arrested for a DUI. Warnings to Motorist and Notice of Statutory Summary Suspension. What Does This Mean”, by James G. Dimeas, Chicago Criminal Lawyer Blog, August 21, 2017.